Most who know me know I am the director and producer of the documentary film, Guilty 'Til Proven Innocent. The film examines laws called breed specific legislation (BSL) and the effect they have on local communities, using Ohio as the backdrop. For 25 years, Ohio had the only statewide law restricting the ownership of "pit bull" dogs in the U.S. requiring owners of this breed to comply with obtaining $100,000 of liability insurance, mandatory muzzling while in public, special confinement and leashing requirements, among others. The law started in 1987, after Ohio State Representative Bob Hickey introduced a general "dangerous and vicious dog" ordinance in an effort to clean up the existing outdated one on the books. On April 6, 1987, an unfortunate incident had occurred when a Dayton (OH) retired physician was reportedly leaving the house of a suspected prostitute. From what was stated at the time, a conflict occurred and the two resident dogs chased and killed the man outside. This happened the very night before this proposed legislation went to sponsor testimony. Immediately after, an amended version of the bill (House Bill 352) was proposed by Ohio State Senator Neal Zimmers, to single out and include Pit Bull dogs as inherently vicious at birth. This subsequently passed and was officially signed into effect on July 10, 1987. The new law became known as Ohio Revised Code 955.11. When I initially stumbled upon the subject, I was living in Lakewood, Ohio, a suburb just west of Cleveland. It was in April of 2007 when NFL star quarterback, Michael Vick, was suspected of dogfighting. A few months prior, I was already researching animal cruelty to base a film project on, and took it as a sign. The new documentary would focus on dogfighting, with an emphasis on the victims of the crime: the dogs. Soon after, research led me to stories about this law called breed specific legislation, where family dogs who have done nothing wrong were being carted away and killed because of how they looked. It was no secret, dogs are dying in shelters every day, but some of the dogs impacted by this law already had homes and families who loved them. I don't know exactly which rock I came from, but until then I had never heard of this before in my, at the time, 30 years. Being a Cleveland area native and Ohio resident, this absolutely shocked me. I mean, I live in a state that had a law singling them out specifically, and I didn't even know. I only wondered who else was naïve to this, and how many families could be affected by something that seemed so callous and cruel, and simply unnecessary. For this reason, I decided to add a chapter in the film on breed specific laws. Truth be told, I am not a breeder or breed enthusiast. I am not in rescue. I am not an animal behaviorist, or a dog trainer. I am not a paid lobbyist. I don't belong to and am not employed by any organization with a political or monetary vested interest over the outcome of this. If I am guilty of any bias, it would be because I love dogs. (Who doesn't?) I believe you seriously have to question whether someone's life has been completely fulfilled in the absence of one. And studies tend to show that people who have dogs are generally healthier and happier. But it's still important to know that I had my own opinions about these dogs, and they weren't always delightful. Growing up, my family shared our home with several dogs of different breeds and perceived mixes, but none would have been classified as a pit bull. I had a few friends who had them, and always thought they were the good ones of the bunch. When it came time to start pre-production, I decided the only way to do this film was be as neutral as possible, start with a clean slate, and don't allow outside influence to dictate the story. Let the chips fall where they may, and allow the story to tell itself. In April 2008, one of several key, defining moments took place. I arranged a meeting at the home of Shana Klein, who operated the only pit bull rescue in Cleveland, For The Love Of Pits. It was there that I met Preston, one of nine dogs who greeted me upon entering. I gravitated towards this little black dog, who seemed to simply enjoy life, but it didn't take long for me to notice the healed scars that covered his front legs, among other evidence that lead to assumptions of what he possibly endured in his previous life. Preston was saved during a drug bust on July 6, 2006, where the owners allegedly used him, along with two other dogs on the property, for fighting purposes. The three dogs were sent to the local shelter to be kept while the pending case was in motion. Shelter staff quickly fell in love with Preston (then named Eeore), which bought him necessary time. On July 28, Shana received a courtesy call in the afternoon to let her know Preston would be put to sleep at 4:00pm. Scurrying for a secure place to bring him, she found a foster home last minute, and Preston's new life began. When I left Shana's house, I couldn't stop thinking about Preston, and just knew he belonged with me. It's a profound feeling that no words can effectively describe. I made my intentions known to adopt him, but it wasn't as easy as signing my name on the dotted line. As I previously mentioned, Ohio had strict regulations regarding pit bull dog ownership, and cities around the state created a domino effect because of the statewide law, most even citing the state law as reasons to just outlaw them entirely within their municipal limits. On May 19, 2008, Lakewood Councilman Brian Powers proposed a pit bull ban, which ultimately passed, and left my plans to bring Preston home in doubt unless I moved out of the city I called home. So I left home. It was still incredibly difficult to find friendly rental housing that allowed me to have him. I'll admit, the actions made by the members of council left me furious. I didn't understand how council could just disregard each and every person who provided competent information that spoke in opposition of the proposed ordinance. That is when I decided to change the direction of the film to dissect BSL, and finally get to the bottom of why it even exists in the first place. Continuing with the research phase for the film, it became quite apparent early on who the law was really targeting, and it wasn't usually about the dogs at all. Laws can't be too vague and they can't violate the rights of protected classes of people (race, gender, religion, etc.). Dog owners aren't a protected class. In the mid 1980s, breed specific legislation, or more appropriately called breed discrimination, grew like wild fire spreading across the U.S. During this period in history, many internal battles were also being waged, with catchy phrases like the "war on drugs." Coincidentally, the 1980s also saw a peak in breed specific laws passed as well. There is ample evidence that suggests the targeted recipients of this were oftentimes motivated by racial and social class intolerance. The perception was, if we can go after the dogs, we can go after the people. The law was used as a tool by law enforcement to legally harass individuals with dogs who appeared to be "pit bull" in an insidious attempt to search for other crimes being broken, and continue to oppress a large subset of people. Bigger, urban cities began adopting these laws and disguised them as a public safety measurement. This is not meant to say every proposed ban or restriction was founded by prejudice, hate and fear of certain people, but along the way the dog has become synonymous with a stereotype of a nefarious owner, who is a violent criminal. Over the last few years, for the first time ever, the dogs were starting to be looked at as victims worthy of compassion, mostly due to the Michael Vick case. Because of that, dogs of fight busts are often given opportunities to be evaluated on an individual basis, dogs like my Preston, who has turned into a fantastic example of being dealt a poor hand and coming out shining like a diamond. The tide turned on BSL as well. In 2010, Toledo started the trend in Ohio, which created a new domino effect with repeals of the archaic, ineffective legislation. Guilty 'Til Proven Innocent guides the viewer down the entire process, offering those who pay attention the information needed to repeal the law in their area, and provide hope of a day in the near future where this senseless threat will be a thing of the past. From time to time, a small group of people attempt to stir the pot and call for a resurgence of BSL, using an attack that gets airtime in the news as proof that the world would be better off without Pit Bull dogs. Thankfully, science has caught up with the times, and the laws continue to get repealed at a much faster rate than they are proposed. Most also understand how counterproductive and difficult enforcement would be. 25 years of failed legislation in Ohio has proven this. Even still, there are cities that allow this to continue, and those residents need get involved and stay active in pressuring their political leaders to look at the facts. The documentary has gone on with some success since its release in 2013, with official selections to two film festivals, St. Louis International Film Festival (2013) and Kansas City FilmFest (2014), respectively, along with twenty other screenings around the country. It has been used in law school classrooms, and has caught the attention of one of the largest animal welfare organizations, Best Friends Animal Society, who send copies of the film to legislators currently faced with this discussion. When I started the film, it was just me and a camera with an idea, an idea that took on a life of its own and materialized into a great representation of the controversy. I didn't even have a dog of any breed living with me...one of few times in my life where I didn't. A few years into the production, I brought on a talented editor, Bryan Porter, who has never owned a dog before, and that decision turned to be one of my best. It kept us fair, honest, and balanced. We edited so there is very little, if any, opinion, sticking to the facts. So even though I now have a dog (actually three) that were once called "Pit Bull" while in the shelter system, it doesn't exempt me from being a credible source and expert on the subject matter. And it clearly doesn't change the overwhelming amount of data presented in our film against breed specific laws. And that is no bull. 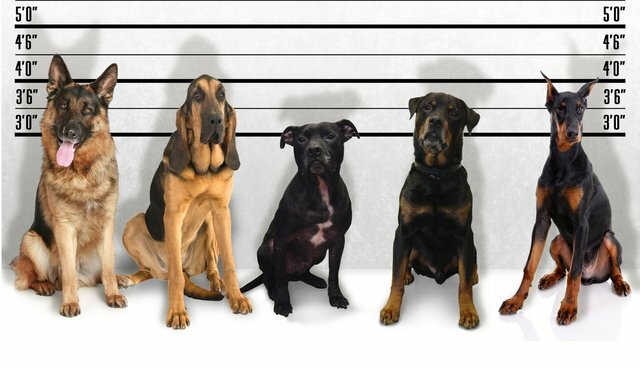 Do we have a dangerous dog breed problem, or dangerous laws targeting dogs?